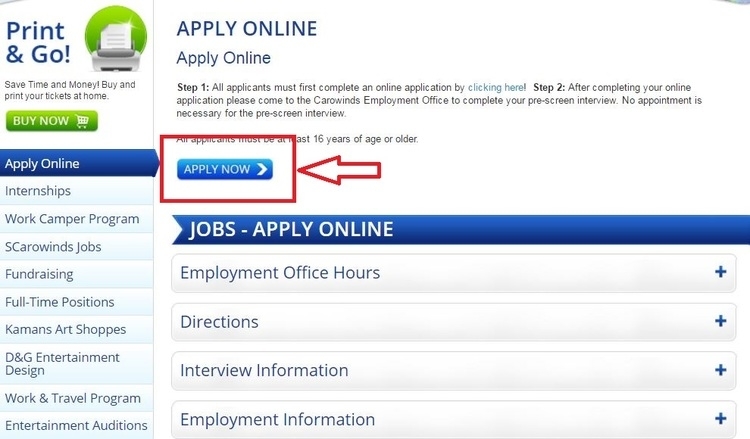 Visit www.carowinds.com/jobs to get access to the Carowinds job application official page, then you may click "Apply Now" button to start your application. You need to log in first with valid username and password. Please register if you do not have one. If you have forgotten your password for some reason, you may enter your email address at the right bottom and get your password back. Before you get stated, you should be notified of something. Read the following instructions and click "Begin". Tick off "I have read and accepted the Grooming Guidelines", which is required, after you have read all the guidelines above including Cedar Fair appearance standards, standards for male/female associates, standards for all associates and body modifications. Click "submit" to go on. Answer the questions and complete all the information and questionnaires required such as your job preferences, employment history, personal responses, certifications, etc. Click "Submit" to enter the next step. Review carefully all the personal information you have submitted. If there is any problem, you can return to any section to correct your answer. Click "Proceed to Finalize" to complete your application. Click carowinds.com/jobs to apply for Carowinds jobs online.